 It’s been such a chaotic month with my rebrand (yay!) site launch, and everything else mama life brings that we decided to head out of town for a much needed escape. Yup, our first family vacay with Harlow in tow. We’re starting off small (getting some practice in) before the big show — California in April. I’ve always been a fan of road trips, I mean, who isn’t? So it’s only fitting that this is Harlow’s first time out of the town (see what I did there?) We packed up the house (I mean car) and ventured to Pure Michigan. Literally, one of my favorite places on earth. Kevin proposed to me here, and it’s where we share some of our most treasured memories together. It’s a quaint, charming town located about 320 miles outside of Chicago. I always joke to Kevin that we’re oldies at heart. We appreciate the peace, and 5pm meals! (this was pre-baby, mind you) We’re so excited to show Harlow around, and breathe the fresh country air. The best! I’ll be honest, I was really nervous about this trip. Harlow doesn’t have the best track record in the car & I almost felt guilty for the seven hour car ride. At the same time, we can’t hibernate forever. It’s important to make these memories early — they seriously grow so quickly. She did amazing, you guys. I had such low expectations (I’m a worrier, so that never helps!) and we honestly had such a fun time. While, I’m NO expert — I wanted to share 5 tips that made our road trip journey a success. Would love to hear any tricks you have, too! Leave them below! I recently discovered The Children’s Place new Baby Bundles and I’m every ounce of obsessed. It may be a no brainer, but keep babe cool and cozy. It gets hot in the car-seat, so we opted for a simple onesie. This also made backseat diaper changes a breeze. Another reason I love the Baby Bundles is because they’re easy to coordinate. Instead of grabbing Harlow’s entire wardrobe, I threw a few of these bundles in my bag. They’re not only adorable, but beyond practical and affordable. Sharing a few (with links) below so you can see what I brought along! My personal favorite is the rainbow stripe cloud printed sleep-and-play and bib set (pictured) — can you guys even handle these colors?! *I packed: Unisex baby counting sheep swaddle blanket 2-pack, baby sheep security blanket (pictured, she loves it), baby counting sheep pants 4-pack (literally obsessed with these), baby counting sheep short sleeve bodysuit 5-pack, Rainbow stripe cozy blanket (isn’t this adorable?) The quality of these, so good! Can’t wait to pick some up for my nephew. Another no-brainer, but it’s easy to overlook these details when you’re packing like a crazy woman! I made sure to keep all of Harlow’s favorite toys, food, bottles, bibs, diapers, and wipes within reach so I wasn’t scrambling through all of our junk! It will save you so much stress once you’re on the road. I also keep a small basket in the middle seat for her toys. She’s a pro at chucking things around, so keeping a bunch within her/my reach is a total game-changer. Since she’s beginning to teeth, we have a lot of these smaller teethers that tend to disappear, so definitely pack a big baggie of these! We wanted to go as soon as Harlow woke up, so we made sure to pack the car the night before. It will save you the added departure stress in the morning. This also allows for you to be more organized, and reduce the chances of forgetting anything. Although, there will always be something! I forgot to pack my pillow and contact case (epic fail) I’ve heard that the app: Wunderlist is a must for packing, groceries and a ton of other things. It’s basically a simplified to-do list and has a 5-star rating in the Apple store. Need to check this out! Has anyone else tried? We stopped every two hours, fed/changed and let her stretch out a bit in the backseat. We didn’t rush these stops, went to her tuned, tired her out a little and set on our way. Also, we stopped through Panera Bread drive throughs to get a hot cup of water to heat our bottles up in. Harlow refuses to drink anything cold! Whenever Harlow started to get restless, I would join her in the backseat to entertain. Like I said above, I’m a worrier. I tried to make a better effort of letting things go during this trip. Obviously, things aren’t going to go as planned — you’re traveling with a baby, after all. Just practice patience, take your time, and enjoy the ride (literally). It’s such a precious time as a family, and you’ll wish these days back! Even when they’re using those lungs!